Showroom & Warehouse Sale - I've lost quite a few friends and family over the past 18 months and have had to handle their estate contents....sales, donations or disposal. I've decided to run my ultimate garage "estate sale" before I'm gone as my family would surely be overwhelmed by what I've managed to accumulate over the years. Most of the contents are in Northern NJ. Parts Lists - I started selling BMW parts in 1977 and maintained a large inventory for the next 20 years. In the mid-90's, Ultimate Garage started to transition to garage design/consulting and tool sales. Competition became fierce on the parts side of the business with hundreds of new Internet based companies selling automotive parts with "dropship only" business models and unsustainably low profit margins. Many of my parts suppliers (EAP, WAWD, Dallas European, Vasek Polak, etc) and competitors (Circle Tire, Ultimate Source, Miller & Norburn, Karzundpartz, Zygmunt Motors, etc) have either closed their doors or restructured. Sadly, my name will be soon added to this list. Most of the items in the lists below are for BMW models (1968 through 2001). All are new and most are either genuine BMW or OEM (original equipment manufacturer)...see my Brand Preference list below. Many of the parts are no longer available from the dealer (NLA). Additional photos from the warehouse. For 2018 (like 2017), many of the parts for older models have increased significantly in price and more items have been flagged as NLA (no longer available). Warehouse distributors (like Worldpac) have reduced their stock of parts for the older models....the choices are "Genuine" (with a 15-25% discount) or a third tier brand that still has stock of parts for 20-40yr old BMW's. My accountant has been urging me to start writing off the inventory but this means destroying the items and taking before/after photos for the IRS. I'm sure some of the less desirable items will end up in the dumpster by year end. 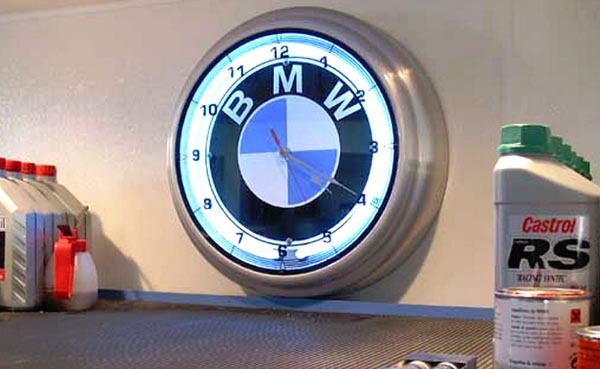 Anything "Genuine BMW" - with the label or BMW logo stamped or placed on the part. OEM ("original equipment manufacturers") - ATE, Balo, Zimmermann, Brembo, Bosch, NGK, Goetze or Elring, Laso, Wahler or Behr, Sachs or Luk, Boge/Sachs or Bilstein, ZF, Mahle, Mann or Hengst, Beru or Bremi, Lemforder or TRW, Swag, Lobro/GKN, VDO, ULO or Sidler, Hella, ZKW, Conti or Optiplex, Elaplast, Mahle or Kolbenschmidt, Valeo, Boysen or Eberspacher, Glyco, FAG/FTE, SKF, Jurid or Textar, Pagid, Gemo, etc..
First Choice - Aftermarket - Vaico, Febi, Moog, Graf or Geba, Nissen, Maval or Atlantic, Reinz, Cardone, Pilenga, PBR, Vemo, Wehrle, Facet or FAE, ACM, Ansa, KYB, Programa, DEC, Trico, CRP/Rein, etc. Effective 1/1/14, Ultimate Garage is no longer a Festool dealer. Sales are limited to supply on hand. I'll be listing Festool items available for purchase (at discounts) in my online store.